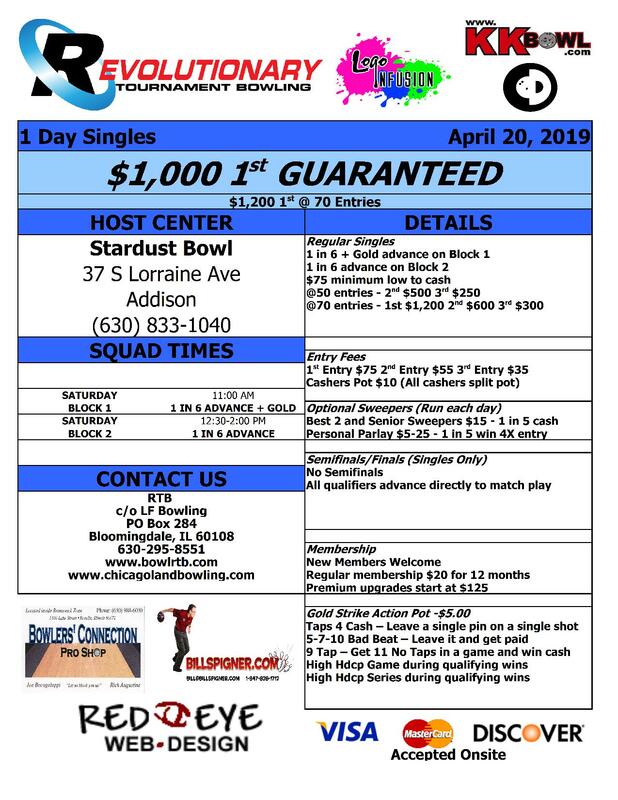 Full results have been posted for the Regular Singles tournament held June 9, 2018, at Beverly Lanes. Click here to view these results. 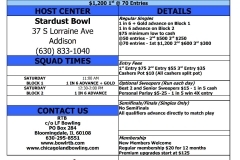 Full results have been posted for the RTB 1 Day Sweeper with Finals event held February 18, 2018, at Arlington Lanes. Click here to view these results in PDF format. RTB has also updated their Grand Finals standings. Click here to view the standings in PDF format. Click the links above for PDFs with more information on these events.